We’ve learned (via Windows Central) that Microsoft is going to kill off the Edge Browser in its current form, their Windows 10 replacement for Internet Explorer. The browser hasn’t gained much traction or developer support after its debut back in 2015. Microsoft built the browser from the ground up with a new rendering engine known as EdgeHTML, which Microsoft touted as being fast, secure, and ultimately lightweight. Unfortunately, the browser launched with a number of issues, prompting even Windows 10 users to just use Chrome or Firefox instead. Instead, Microsoft is reportedly dropping the current form of the browser, focusing on something new yet based on Google’s Chromium open source web browser program. Despite becoming essentially an entirely new browser, the name of the browser, Edge, isn’t going away. Alongside the change up on their main web browser is the news that Microsoft is also looking to bring Edge to Windows 7 and Windows 8, as it was Windows 10 exclusive before. They’re also looking to bring Edge to Mac OS as well. As with any reports or rumors like this, we won’t know the validity until Microsoft actually confirms they’re swapping out the web browser. What browser do you use? 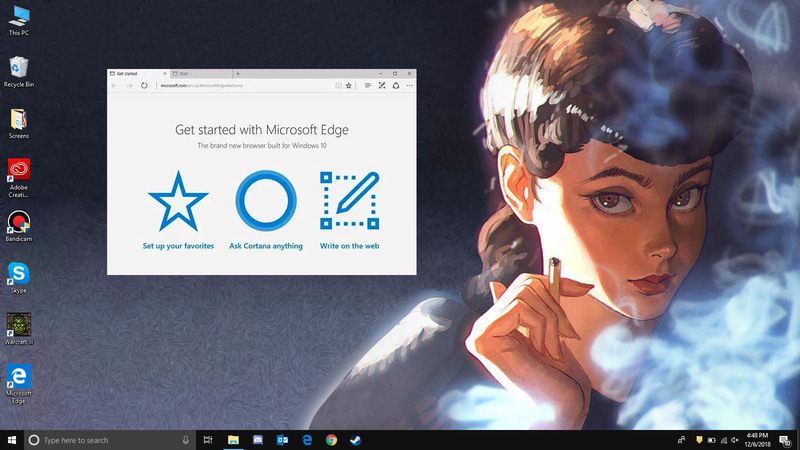 Have you ever tried Edge? Sound off in the comments below!